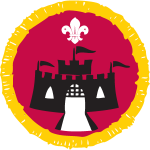 Cubs can earn Activity badges outside of the regular meetings. For example: if a cub has music lessons, they will probably be covering the requirements for the musician badge. Or they may like cooking and can complete the chef badge at home. To see all the Activity badges that are available click here. The sheets below show the requirements and have a space for the individual parts to be signed off. Once a cub has completed all the requirements they can bring the signed off sheet to the meeting for the badge to be awarded. We are currently adding these sheets, so please be patient if the sheet you require is not here yet. If you have a smart phone you can download an App with all the badge requirements. 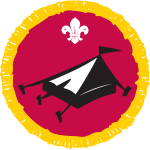 Please look for My Badges from The Scout Association on your App Store. Where do the badges go? Click here to find out.